Nassau Airport Development (NAD) company presented Reach Bahamas with a donation this week that included contributions made by generous passengers who recently traveled through Lynden Pindling International Airport (LPIA). Travelers participated by depositing their contributions into NAD’s “Give. Change.” donation boxes, which are stationed in the US and Domestic/International terminals. 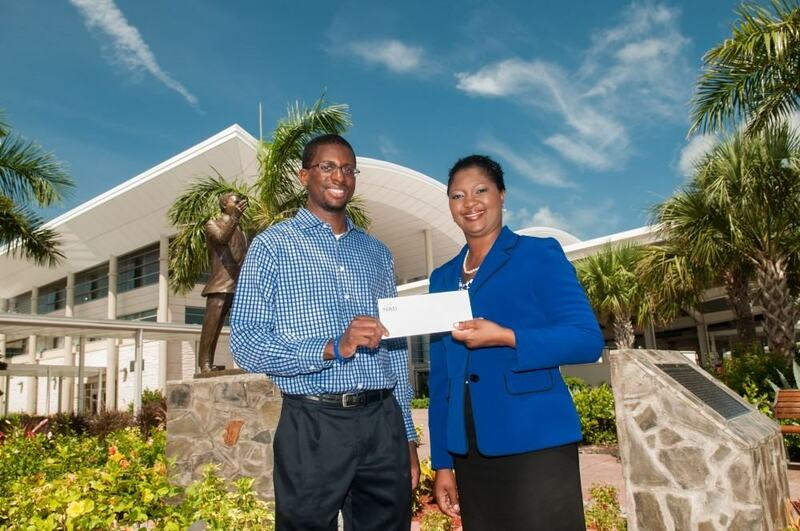 Pictured left to right: Robert Turnquest, Board Member, Reach Bahamas receives a cheque from Sian Bevans, Director of Human Resources, NAD.